After books, movies are my second favorite form of entertainment. If I know there is a movie out based on a book I have read or intend to read, you can bet I will probably want to watch the movie. Although I prefer to read the book first, it is not a hard and fast rule. I can be flexible. At least, I am learning to be. 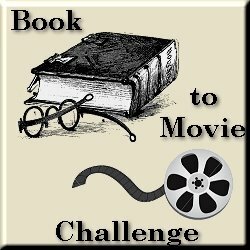 Callista came up with the perfect challenge: the Book to Movie Challenge, which involved selecting at least three books that were later translated into movies. Participants were not required to watch the movies based on the books, thankfully. I had hoped to do that before the end of the challenge on my own but was unable to do so. I bit off more than I could chew with my recent challenges and had to do a little manipulating in order to give myself a passing grade. My crime was in substituting one book for another that met the challenge criteria after the challenge had begun. While I may not have played exactly by the rules, on a personal level I am counting it as a success. I accomplished what I set out to do, which was to read three books that were made into films, clear space off my TBR shelves, have fun in the process, and maintain my sanity. Of the three books I had the opportunity to read for this challenge, I was least impressed with Oscar Wilde's The Picture of Dorian Gray. I had seen the movie, The League of Extraordinary Gentleman, a couple of years ago and had since been curious about the mysterious Mr. Gray. I have no regrets about reading the book and, in fact, am glad I did. Still, the novel left a lot to be desired in the end. Unfortunately, this is one of the two books for which I have yet to watch the movie of, but I hope to remedy that soon. I am not a huge fan of children's or young adult literature, I admit, and so it was with some reluctance that I approached Katherine Paterson's Bridge to Terabithia. Quite a few voices echoed the same sentiment, however, assuring me the novel was worth reading. And it was. It was a lovely story: sad, hopeful and full of meaning. The movie is next up on my Netflix list, and if I ever manage to watch one of the DVD's sitting around here so it can be returned, I may be able to get to Bridge to Terabithia before long. Of the three books I read for this challenge, Persuasion is perhaps my favorite. I have joined the ranks of Jane Austen fans. I love her prose and characterizations as well as her seemingly simple stories with their complexities and moral themes. I was able to see the movie version of Persuasion and enjoyed it quite a bit. I rarely have met a movie that is as good as its book, but that is a given. I never expect a movie to be. I can enjoy both in the form they are offered, make comparisons without feeling cheated, and often come away appreciating the book more than I might have before. There are quite a few unread books on my shelves that have been translated onto film, and many more yet to come. I had better get busy. Special thanks to Callista for hosting this wonderful challenge. Wendy, congrats on completing the challenge! This sounds fun; it's a pity I didn't join since I don't have enough books to go with the theme. What a fun challenge. Congrats on finishing it. You and I had similar opinions on both Dorian Gray and The Bridge to Terabithia. I've never read Persuasion but it's been on my list to read for quite some time. I hope to get to it sooner than later. I love Persuasion, but I haven't seen any version of it yet. Must try to do that sometime. I have actually never read anything by Jane Austen before but my online book group is reading Persuasion next month. I'm glad you liked it! I'm going to go pick it up from the library soon. i own Dorian Gray but haven't read it yet. thanks for the reminder. Which Pride and Prejudice version did you see? The BBC version or the one with Keira Knightley? Both were good, although I admit to being partial to the longer one with Colin Firth. Trisha - Thanks! I hope you will like Persuasion. It's gotten mixed reviews among bloggers, I've noticed. Tanabata - Thank you! I really enjoyed the movie and hope you get to see it soon! 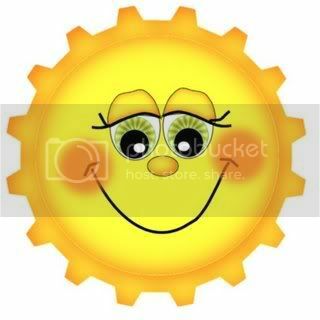 Bec - I hope you will enjoy it more than I did. I do think it's worth reading and many people have enjoyed it. Iliana - Thank you! You still have time to try and fit that one more in. If not, that's okay too. It's all about having fun in the process. Wendy, it's the one with Keira Knightley. I think she acted quite well, although I cannot compare her with the book version since I haven't read it yet, hehe. Also, I'm looking forward to watching Atonement which will probably be released in Jan over here; and Keira Knightley acted in this movie too. I didn't actually know there was a movie of "The Picture of Dorian Gray". I'm curious about it now. Like you, I did not yet have the chance to watch "Bridge to Terabithia". I really want to remedy that soon. I promised myself that 2008 would be the year in which I'll finally read some Jane Austen. Maybe I will get to the movies after that. I didn't even know there was a movie version of "Persuasion"! Good job on the challenge. The films never quite measure up to the book, I find. But some are worth watching in their own right. Films of books I've read that spring to mind include Lord of the Rings, The Postman, Message in a Bottle, Dune (bad film! ), Ludlum's Bourne novels, and the list goes on. I'd love to see someone tackle Dorothy Dunnett's Lymond series. I just ordered the DVD of Persuasion from Amazon because I want to see how the movie compares to the book! I just loved reading it. The descriptions of her family had me laughing and the romance was very sweet and poignant. I am glad you enjoyed it. You picked some excellent books for this challenge (I'm still disagreeing with you on Dorian Gray!). I haven't seen the movie version of Persuasion though. Maybe I should add it to my Netflix choices! I didn't participate in this challenge because I didn't think I had a prayer of finishing, but I'm glad you enjoyed it and did so well! I haven't read Persuasion yet, but it's on my stacks (story of my life). I am very excited about seeing Atonement. I can't wait! I hope you will enjoy Jane Austen when you finally do read her. Kookie - Thanks! It was a fun one. Julie - Exactly! My husband wants me to read Dune. I saw the movie many many years ago and can't ssy I remember it. Jaimie - I hope you enjoy the movie version. There were some changes from the book, but overall it was good. Andi - I barely squeaked this one in!